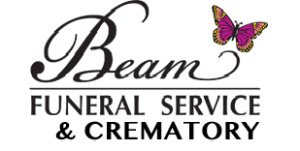 Chad Beam Funeral Home and Services of Marion NC is here for all of your funeral needs including caskets and cremation services. It is my desire to serve each family with my upmost ability during this most difficult time. I will place the wishes of families first in all services I conduct. My experience in all aspects of funeral service assures you that the elaborate church service or direct cremation service will be taken care of with the most professional concern...”it’s like having a member of the family in the funeral business.” It would be an honor to hear from you concerning my services. I am available 24 hours a day. Thank you for allowing me to serve this community. A licensed funeral director, embalmer and crematory operator, Chad is a graduate of McDowell High School and Gupton-Jones College of Funeral Service in Decatur, Georgia with 22 years experience as a funeral service professional. Chad and his wife, Jill have two children, a son, Zach and a daughter, Allie. He is a member and a deacon at Rocky Pass Free Will Baptist Church. "It is my desire to serve each family with my up most ability during this most difficult time. I will place the wishes of families first in all services I conduct." Jill is a native of McDowell County and graduate of McDowell High School. She is the daughter of Ray and Sarah Bright and a member of Rocky Pass Free Will Baptist Church. Jill, a notary public,enjoys spending time with her family and friends. Landon, a licensed funeral director and crematory operator, is a resident of Old Fort and a graduate of McDowell High School and Gupton-Jones College of Funeral Service in Decatur, Georgia. Having been in the funeral profession for the past 12 years, Landon has a personal dedication to each family he serves. "Each family I serve, I treat them as if they were part of my family". Matthew is a native of Buncombe County and a graduate of Enka High School and Gupton-Jones College of Funeral Service in Decatur, Georgia. He has been in the funeral profession for the past 10 years and is currently in the process of completing the requirements to obtain his funeral service license and is a crematory operator and notary public. Matthew has been a resident of McDowell County for the past several years. He enjoys classic cars, traveling and helping the community in their most difficult times. John Ray and his wife, Joyce are members of Grace Baptist Church where he is currently a pianist. After many years of working in local meat markets and owning his own business, John Ray felt a calling to begin his ministry in the funeral service industry where he has served continuously for the past 25 years. Don is a lifelong resident of McDowell County and resides in the Haw Branch Community of Marion. A member and deacon of Zion Hill Baptist Church, Don and his wife of 43 years, Louann, have one daughter, Donna. When Don is not driving a school bus for the McDowell County Schools, he spends his time gardening and raising small farm animals. Ray and his wife of 50 years, Sarah, are members of Ashworth Road Missionary Baptist Church and reside in the Sugar Hill Community. He and his wife have three children and three grandchildren. Ray is a car enthusiast and enjoys spending time with his family. Harry is a resident of Nebo and has been married to his wife, Marlie for 46 years. He is a member and deacon at Rocky Pass Free Will Baptist Church and a member of The Gideons International. Harry also served in the US Army 167th Military Police Detachment in Germany from 1966 - 1968. In his spare time, Harry enjoys hunting and fishing. Ricky and his wife, Tracy Henry Crisp have been married for 30 years and have one daughter, Cambria. They currently reside in the Pleasant Gardens Community and attend Mt. Moriah Baptist Church. Ricky, who had been employed with the McDowell County Sheriff's Office for 23 years, retired as patrol captain at the end of August 2016. "I look forward to working more with the funeral home staff. I enjoy working with people, and this is a great opportunity of helping them through a very difficult time of losing a loved one". Jim and his wife, Pam of 47 years, are residents of the Cross Mill Community in Marion. They have five children and five grandchildren. He is a member of First Christian Church where he serves as Elder and Adult Sunday School Teacher. Jim is a licensed crematory operator. Jim enjoy's spending time with his family and his three canine's. A member of the Gideons International, McDowell East Camp, Mike and his wife Brenda have one son, Kevin. They enjoy spending quality time with their granddaughter, Mackenzie. Serving as a deacon at Yancey Street Baptist Church, Mike proudly served in the United States Army during the Vietnam War. He is also a 1975 graduate from Western Carolina University where he received his bachelor's of business administration.